I had a great day yesterday, but then, I always have an especially good time when hiking. Hiking is my therapy, my peace, my freedom. And when I have the perfect companion, hiking is bliss, even when the temperature hits a hundred or more. Although my cross-country road trip was supposed to include a lot of hiking, I wrenched my hip at ballet class shortly before I left. And driving — all that sitting — only exacerbated the matter. 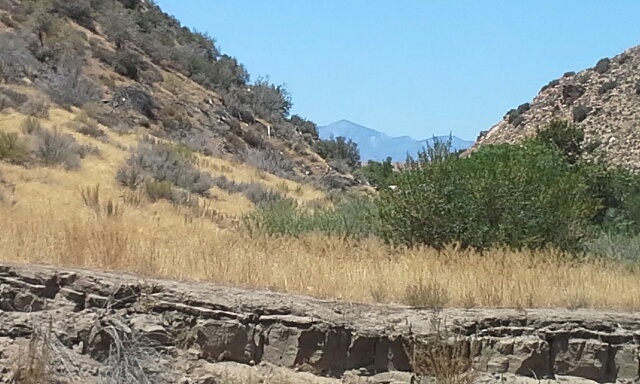 I still managed a few good hikes along the way, but often the pain kept me from long treks. It was only after I figured out that the pain came not from the sciatic nerve but the accompanying piriformis muscle that I was able to find the proper stretches to help heal the muscle. And now, finally, I can hike again. 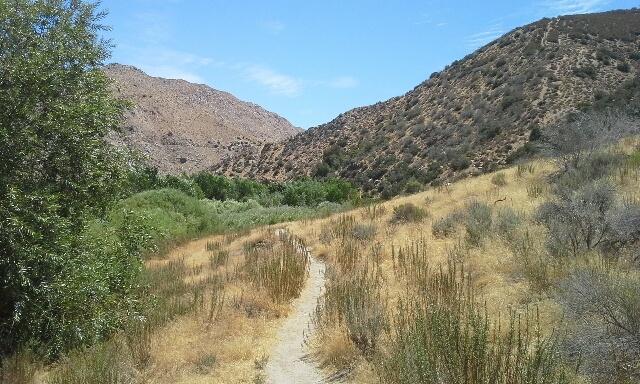 When a neighbor invited me to go on a hike with her on the nearby Pacific Crest Trail, I jumped at the chance. And oh, how sublime! The part of the trail we walked was fairly easy with no severe elevation changes and only a couple of treacherous spots where the trail had degraded. 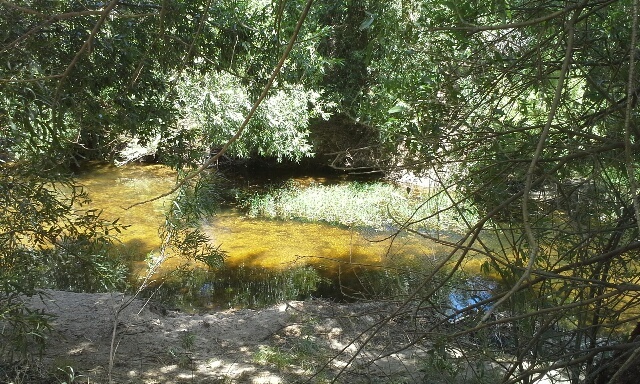 We ended up at a lovely tree-shaded spot by the golden Deep Creek where we lazed so long, I missed my dance class. 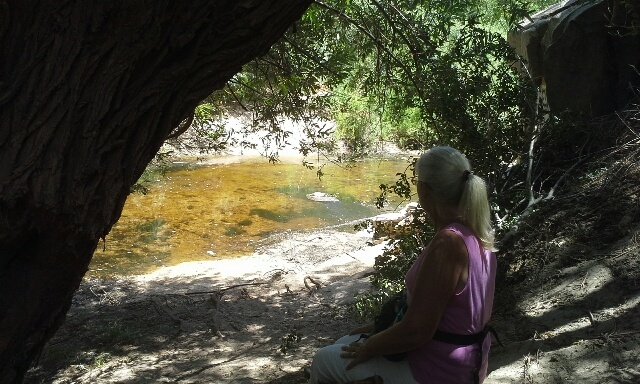 But a hike, a new friend, easy conversation, and a creekside idyll were things not to be missed. The hike back seemed even easier because we were prepared for the bad spots. Although it can be dangerous hiking in the desert heat, which is why I always carry plenty of water, there is one factor besides the obvious joy of being out in nature that comes from such a trek — the feeling of deep and abiding inside-out cleanliness and freshness that results when one finally gets a chance to shower away the sweat. Refreshment. Means a whole lot more than just the simple snack we enjoyed beneath the trees by the side of the creek. Great to hear that you had a goodood hike and have a new friend. Beautiful photos too. Glad you’re healing nicely and able to enjoy hiking again, Pat. Happy to read that you’re able to get out there and hike again…glad you’ve found a new person to share a bit of yourself with.